Through a series of individual sessions we work with both you and your child to apply brain plasticity principles. As we work with your child, your own ability to perceive changes in your child may grow as well, which greatly enhances your child's progression. Many parents report that they have learned and grown right alongside their child. A series is 5-10 sessions within 1-2 weeks. This allows the child's learning to reach a threshold that they can integrate into daily life. Children’s sessions last between 30 -45 minutes, depending on the child's attention and the progression of the session. Any extra time can be spent answering your questions. Please bring a bottle or snack for your child. Children can get quite hungry. 24 hour cancellation notice to avoid paying for missed sessions. If you or your child is sick please let me know and stay home. You will not be charged for this session. Super-intensive is the signature offering for children from ABM Northwest NeuroMovement® Professionals Joanna Cutler, Phoebe Macrae and Kathy Shean-Jones. Based in Portland, Oregon and serving the US Northwest and Canada, we work in collaboration to bring about profound outcomes using the Anat Baniel Method® NeuroMovement®. Portland is now a destination/hub for Anat Baniel Method® NeuroMovement® Lessons. Super-intensive is a 3 day, dynamic intensive workshop experience for 6 families. Your child receives 3 individual lessons per day from ABM Northwest practitioners Phoebe, Joanna and Kathy. In addition, parents receive education and support. Following the guidance from both the ABM Center in San Rafael and our Master Trainer Sylvia Shordike, we make use of the incredible benefit of working with multiple practitioners over a short period of time. The learning builds over three days and the kids often reach a new threshold of skill that they continue to work on at home. Each day includes a 45 minute Parent Education piece. This is an invaluable opportunity for parents to become students. 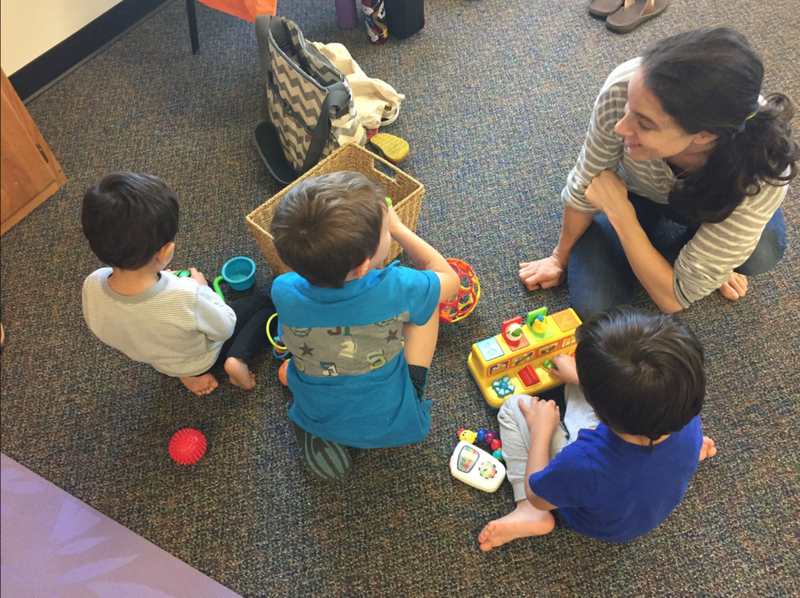 As they experience a movement lesson they absorb, on a personal level, both the success and challenge of learning that their child is going through. This component can be a catalyst for your child's improvement. The Children benefit from the close collaboration of experienced practitioners. They receive 3 individual lessons per day for a total of 9 individual lessons. All the lessons are done in one room, which is a profound experience, allowing parents and kids a unique opportunity to see other kids' process.